With the Auction merely days away here are a few updates and reminders. 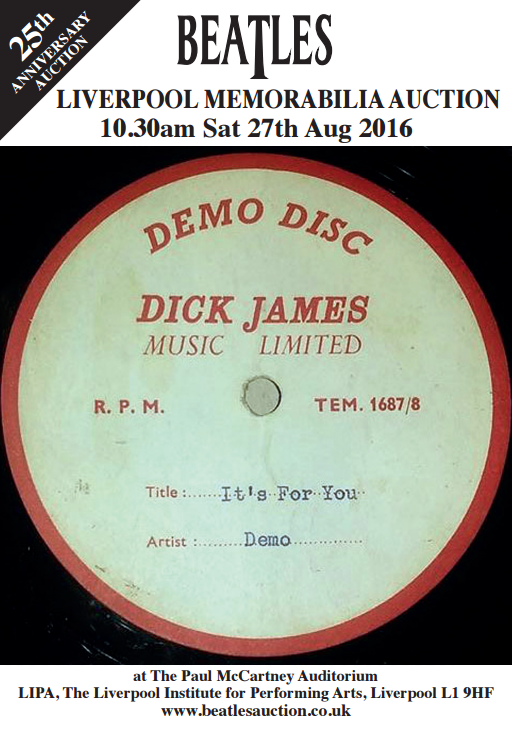 First of all, a letter of provenance has been added to the blog post about the amazing It's For You demo acetate. Click here and scroll down for details. Remember we have moved venues this year. The viewing day and the auction are now being held at The Unity Theatre. It's not far from LIPA - map and details can be found here. Catalogues are now available from the Beatles Shop. They will also be handed out at the Adelphi lounge/foyer on the Friday and on the Saturday morning and will be available at The Unity Theatre on the viewing day. You can download the full catalogue or a text version by clicking here and following the instructions. The 2016 Liverpool Beatles Auction is rapidly approaching and we are looking forward to holding the event in our new home at The Unity Theatre off Hope Place this year. Add to that the fact we have some truly amazing lots this year and our 25th event is really shaping up to be our best ever. 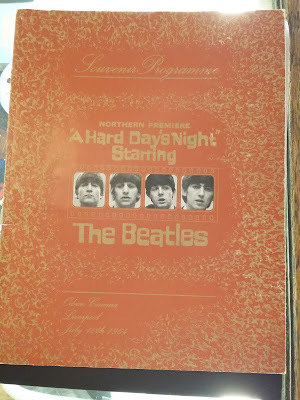 Let's face it, it's not every year that you stumble across a Beatles demo recording that no one has heard for over a half a century. The It's For You acetate has been getting a lot of attention from people all over the world and we can't wait to see where it ends up. 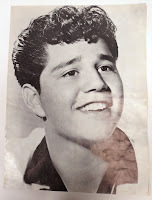 You can read all about this sensational find by clicking here. 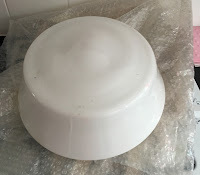 The acetate is, of course, our star lot but that doesn't mean the other items are any less interesting. 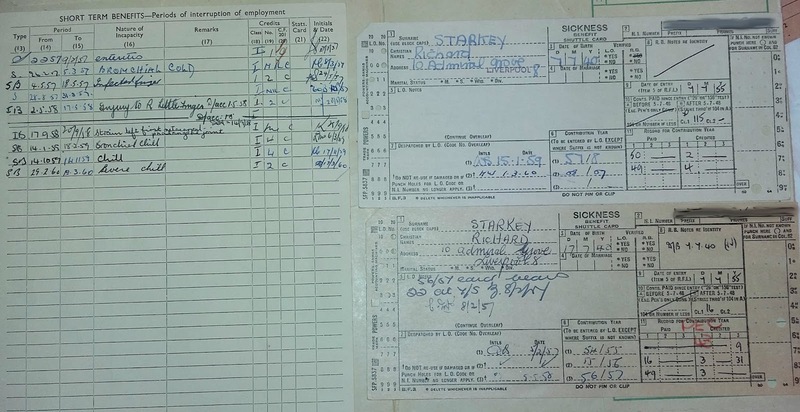 A particular favourite is the collection of documents pertaining to Ringo's sickness benefits in the days when he worked as a fitter in Liverpool. They give a fascinating insight into his working life before drumming became his main profession. Click here for more details. Staying with Ringo, how about a chance to own a jacket worn by the man himself? 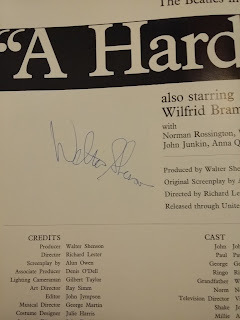 The jacket was worn during filming for the excellent Anthology documentary. Now that's pretty special! Info here. One of our favourite items is a brilliant brightly coloured fake fur sleeveless jacket purchased from the Apple Boutique in the late 60s. The life span of that particular project was short so there was only a small window of opportunity for things to come from there. The jacket was designed by The Fool, a collective that also designed the flamboyant mural that briefly adorned the exterior wall of the boutique on Baker Street, London. Images and details here. 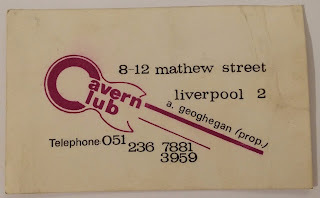 For those interested in all things Cavern, there are plenty of goodies going under the hammer related to the club, including documents, business cards, original souvenirs and even a gargoyle shaped light fitting from towards the end of the club's lifespan. 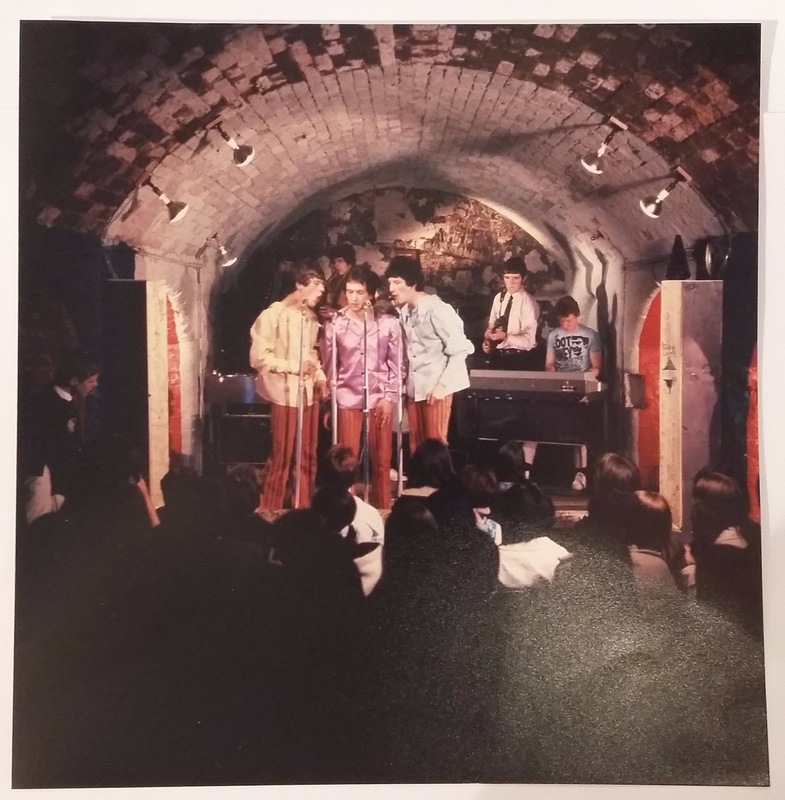 Click here for all the previous posts about Cavern Club items in this year's event. 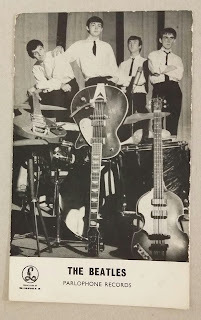 As ever there are a number of autographs in the auction, the best example being a lovely set on the reverse of an early Parlophone Records promotional card. Details here. If you prefer something a little more arty from your Beatles then there is an A4 sized sheet of doodles produced by Paul McCartney while he was at the Liverpool Institute as a boy. Image and info here. These examples are merely scratching the surface of this year's event. There are over three hundred lots up for auction with items to suit everyone's taste and pocket. The 2016 Auction catalogue is available to download by clicking this link and following the instructions. Printed catalogues are available for collection from the Beatles Shop on Mathew Street. The viewing day is Friday 26th August at The Unity Theatre. Details and a map can by found here. The auction itself starts at 10.30am Saturday 27th August at the same venue. A full list of lots covered by this site is available here. Every now and again we come across a real treasure for our auction and it really does take our breath away. 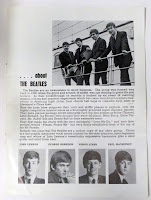 This year we are extremely excited to have stumbled across a piece of Beatles history. Back in 1964 the Lennon/McCartney song “It’s For You” was written especially for Cilla Black and Paul McCartney recorded a demo acetate that he sent round to the London Palladium for her to listen to. 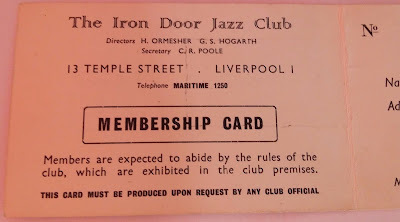 (This is mentioned in Cilla’s autobiography). 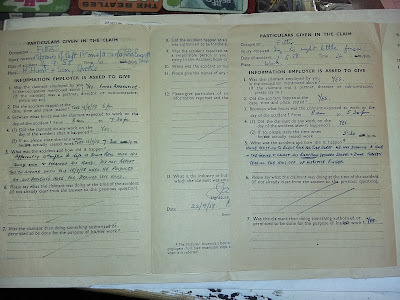 Since then the whereabouts of this acetate has been unknown. Mislabelled in a collection of other acetates as being by Cilla this super-rare recording has resurfaced and will be up for sale in our annual Liverpool Beatle Memorabilia Auction on 27th August this year. We could hardly believe it when we played through the collection of Cilla demos we had taken in for the auction and came across Paul’s voice. 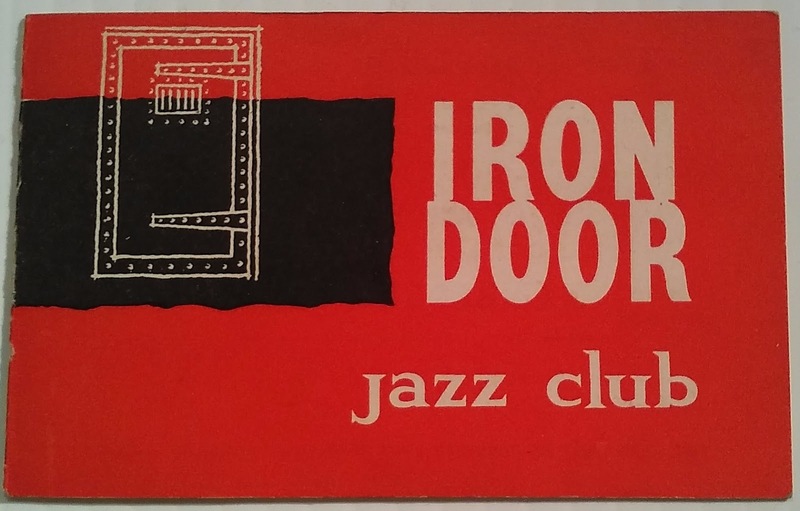 This is an important, and previously considered lost, piece of musical history. 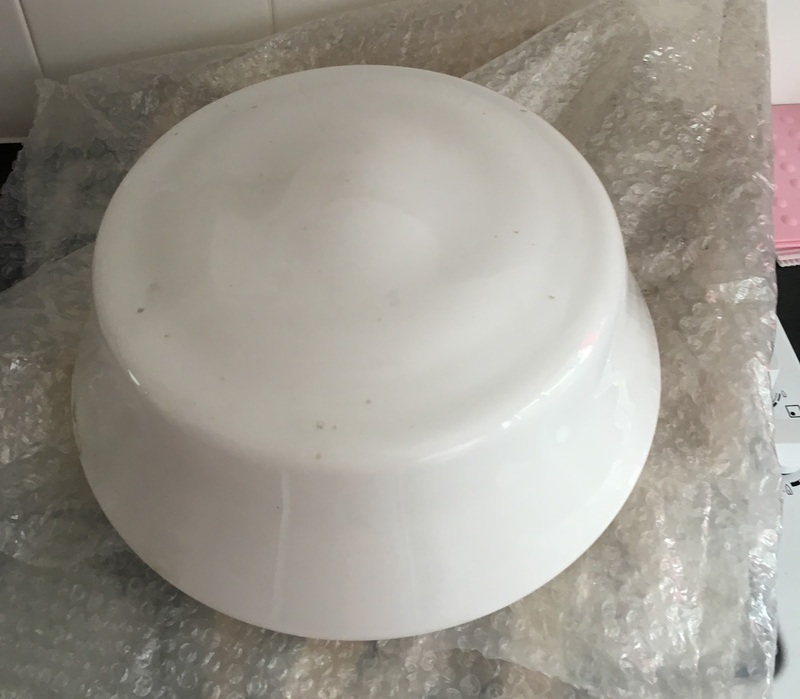 It is expected to sell for £15,000 - £20,000, perhaps even more. Cilla’s version features Paul on piano and the single peaked at number 7 in the charts. 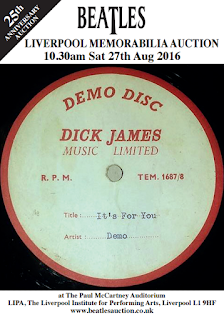 I confirm I have full legal title to the acetate demo of the recording of 'It's For You' by Paul McCartney, described as lot 190 in the Beatles Auction catalogue Liverpool 27th August 2016. 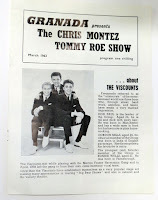 The acetate demo is believed to have been given to my late father by his sister Cilla Black, around 1964, when my father was around 18 years old. My father was an avid record collector who took great care of his record collection and he personally created the cardboard sleeve in which the acetate demo has been stored in his collection for more than 50 years. It is my father's handwriting that appears on the cardboard sleeve. 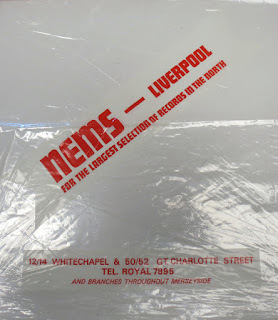 It was only when we took this acetate demo, amongst others in my father's collection, to the Beatles Shop in Liverpool earlier this year, that it was found that the recording on the acetate demo was in fact that by Sir Paul McCartney rather than Cilla, as the labelling on the sleeve wrongly indicates. Sir Paul McCartney was kind enough to send this demo recording to Cilla Black back in 1964 and she had a big hit with the song. 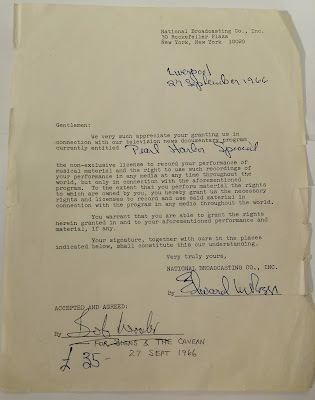 When we found out that Sir Paul had not retained his own copy of the recording, as a courtesy and gesture of respect, we agreed it would be only right that, of all people, he be allowed to make a copy of the recording for himself for the sole use of adding it to his personal archive. Other than the single copy of the recording that he now has, we know of no other. Please note we that there will be a VENUE CHANGE this year. 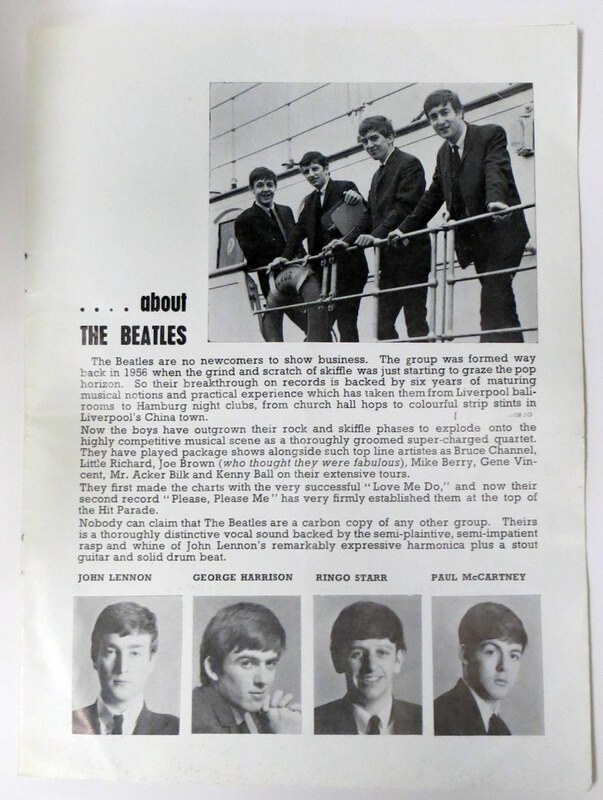 The catalogue for the 2016 Liverpool Beatles Memorabilia Auction is now available to download. Please click here for more details. Below is a list of items, complete with lot numbers, that we have covered on this blog this year. 66 Original Beatles pendant with photograph on front and chain. 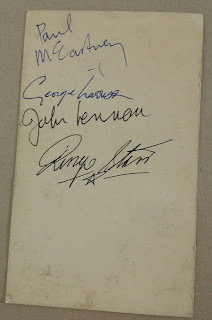 The 2016 Liverpool Beatles Memorabilia Auction takes place on 27th August 2016 at the Paul McCartney Auditorium at The Liverpool Institute for the Performing Arts. A lot consisting of two 1950s light shades from St Peter's Church Hall are to be sold in our Liverpool Beatles Auction in a few weeks. The lot will be raising money for the church funds which helps the church, the local area and other more wide-spread charities. 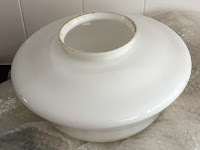 The pictures show the top and the bottom of the items. They are glass and were recently discovered in the cellar of the hall; who knows what events they helped illuminate in their time? St Peter's Church Hall is famous for being where John and Paul were first introduced on that fateful day in July 1957, starting a musical partnership that would change the world. The light shades are estimated to go for £120-£150. 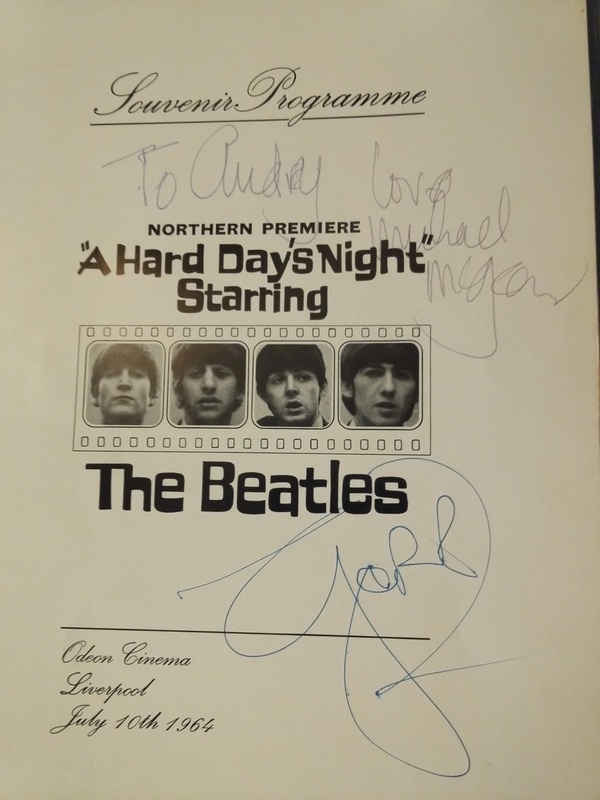 This programme for the Northern premiere of A Hard Day's Night in Liverpool 1964 is signed on the inside pages by Michael McCartney, Gerry (Marsden) and by the film's producer Walter Shenson. 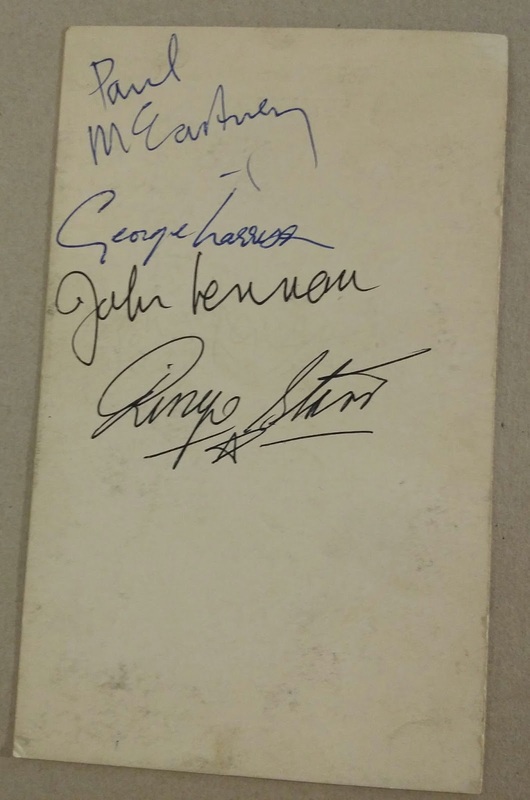 The 2016 Liverpool Beatles Memorabilia Auction takes place on 27th August 2016 at the Paul McCartney Auditorium at The Liverpool Institute for the Performing Arts. All valuations are free. 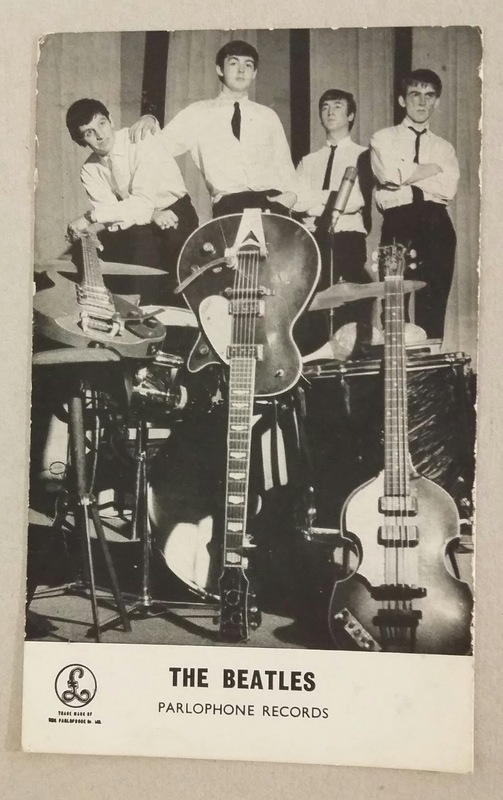 Set of Beatles autographs on the reverse of an early Parlophone records promotional card. This year's auction is proving to be extremely interesting in terms of rare and one-off items. 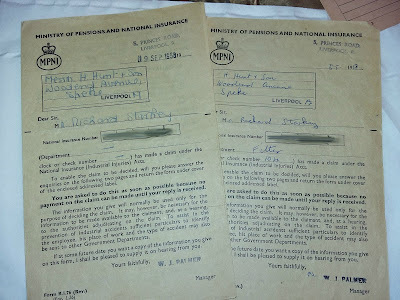 These documents are simply fascinating. 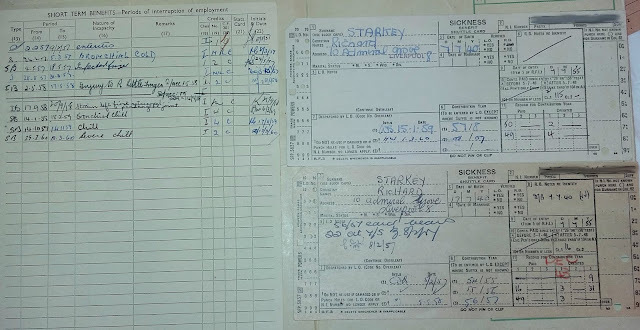 They are amongst a lot covering the sickness benefits paid out to Richard Starkey (obviously later known as Ringo Starr) while working as a fitter for H Hunt and Sons in the late fifties. 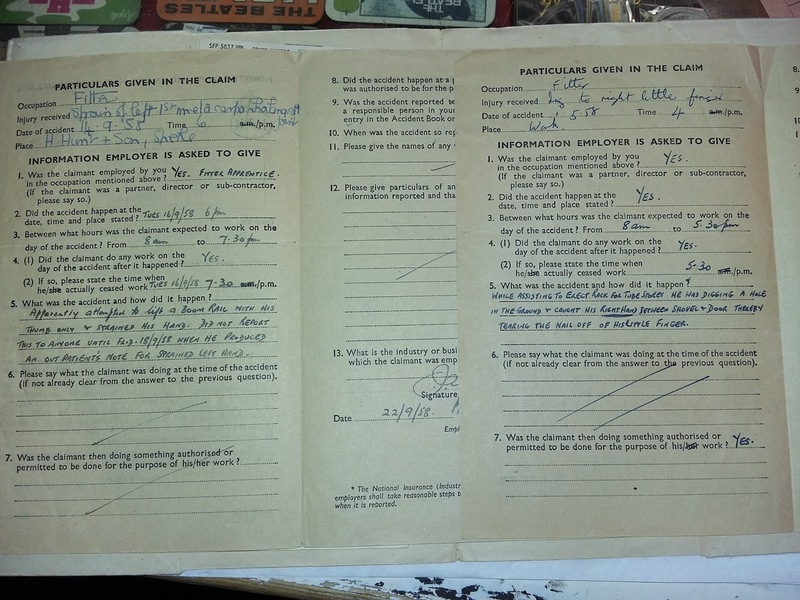 In the documents are two work related injury reports from 1958, detailing two occasions where he injured his hands while working. 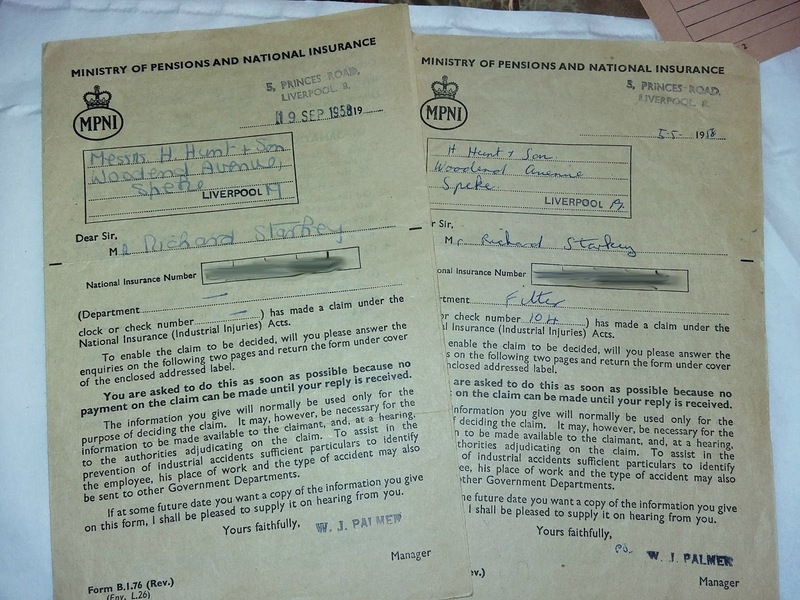 There are also two Sickness Benefit Shuttle Cards which were sent away so they could check whether he had paid in enough contributions to be entitled to sick pay. It seems that besides work related injuries poor Richie was quite susceptible to chills, particularly of the bronchial kind. These doodles were all drawn by Paul McCartney while he was at school at the Liverpool Institute. They were originally from someone who attended school with him. 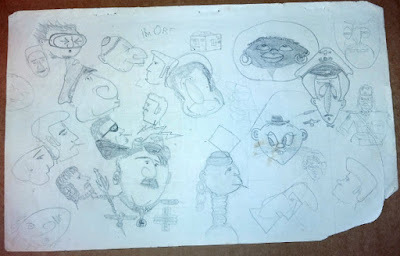 They are on the reverse of a typed sheet of paper and feature all kinds of caricatures. 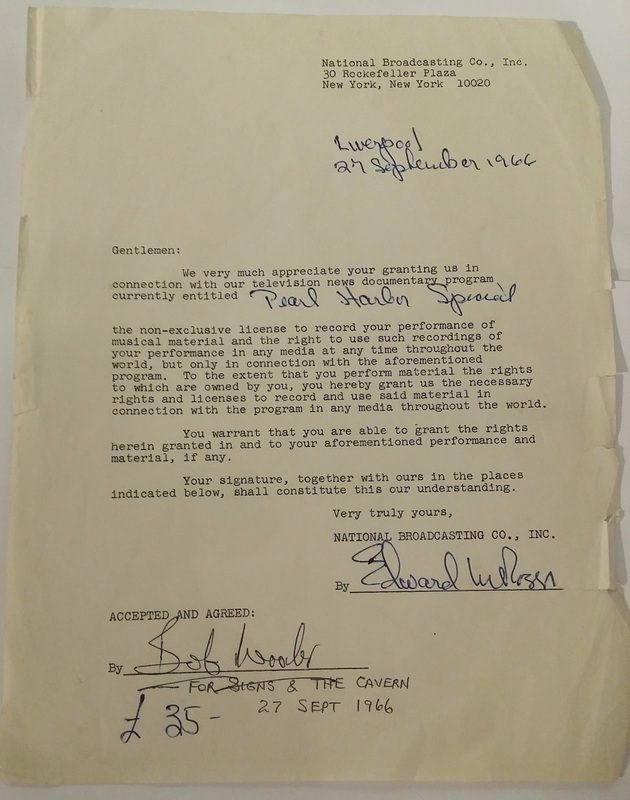 This letter from NBC in September 1966 is about permission to film a band called The Signs for a TV Special. 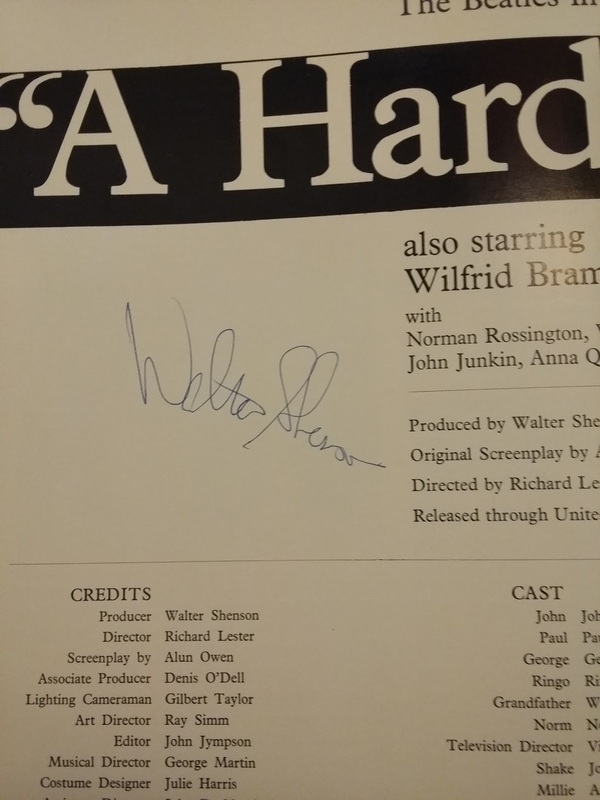 The letter is signed as the terms being accepted by Bob Wooler. 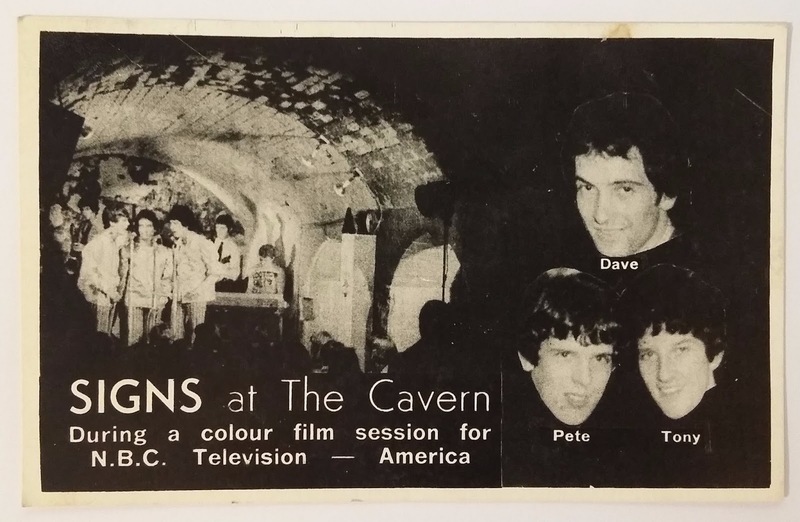 The lot also comes with a rather splendid colour photograph of the band taken from the filming at the Cavern Club and a promotional card on which they used a black and white version of that image. 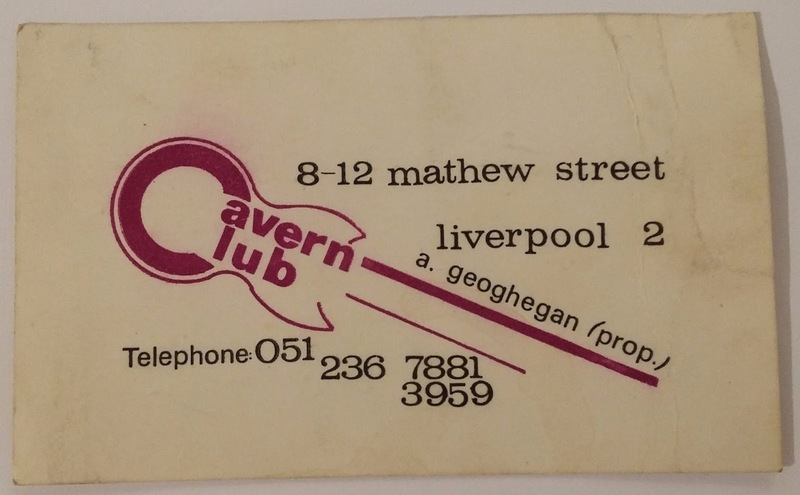 A collection of seven Cavern Club window stickers dating from the latter half of the 60s when the club was under the ownership of Alf Geoghegan. 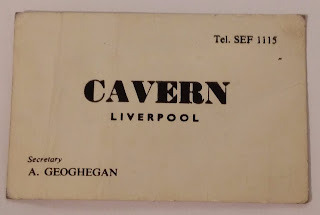 These three different types of Cavern Club business cards date from the latter half of the 60s when the club was under the ownership of Alf Geoghegan. 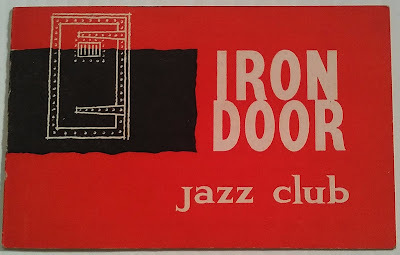 There's a collection of ten of these little business cards going into the auction, with an estimate of £80-£100 for the lot. 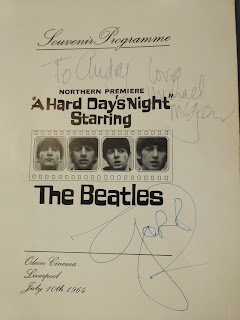 The estimate on this item is £200-£250 and it will up for sale in our Annual Liverpool Beatles Auction later this month. 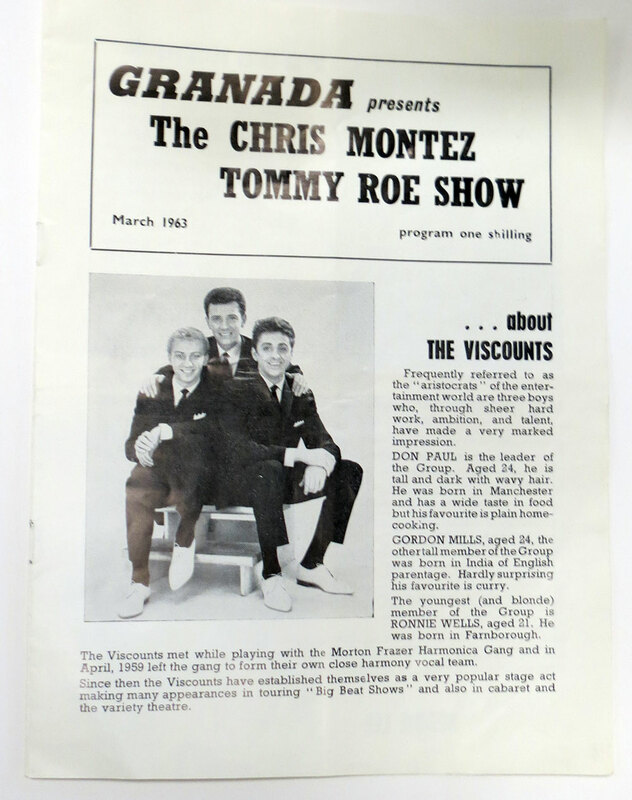 This rare programme for the Chris Montez/Tommy Roe tour with The Beatles was published by Granada and was available at Granada owned venues on the tour in March 1963. It is different to one available on the rest of the tour. 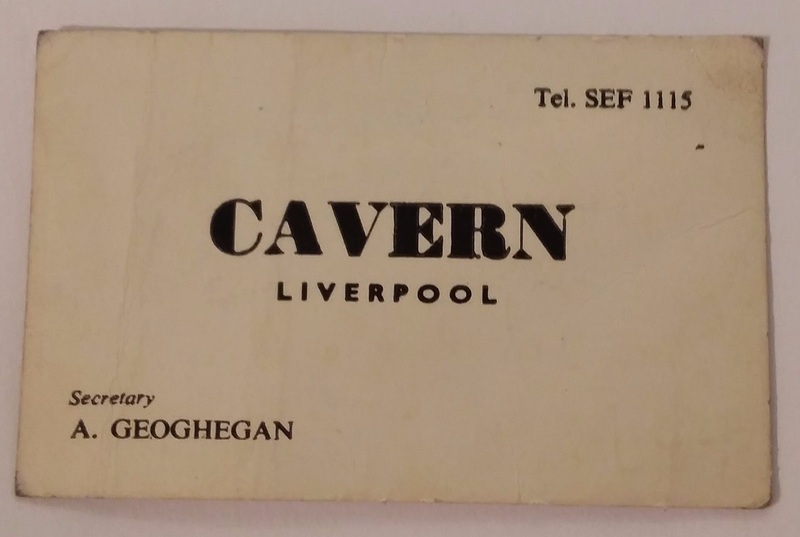 Carrying an estimate of £600-£700 this rare item will be up for sale in our Annual Liverpool Beatles Auction later this month. 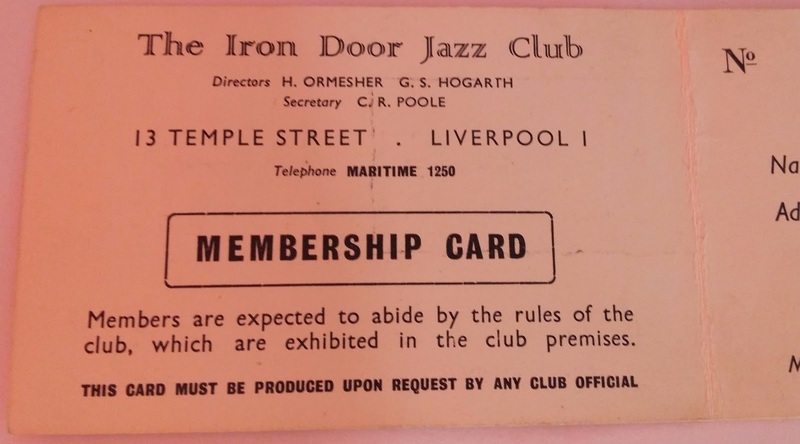 Dating from 1964 these images would have been displayed in cinema foyers to promote the showing of the film. 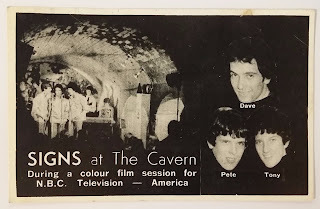 Dating from 1969 these images would have been displayed in cinema foyers to promote the showing of the film. Complete set of eight original UK lobby cards for the film "Ferry 'Cross The Mersey" starring Gerry & Pacemakers and featuring Cilla Black.